Every year at school brings new challenges. One of my challenges this year has been keeping my budget in mind! I haven’t totally failed but it’s definitely something I need to work on. The hardest part for me is being able to visualize what I have spent and what I have left. So! 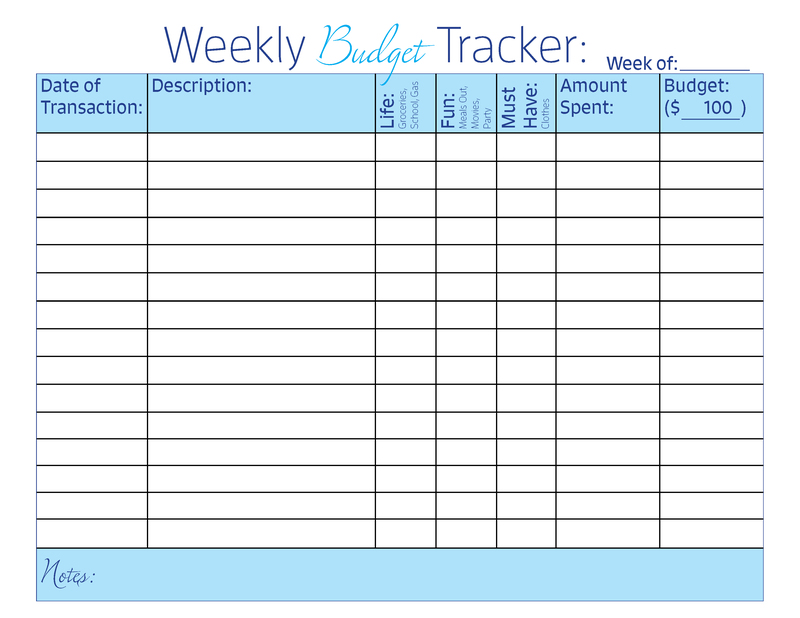 I made a weekly budget tracker to help myself get organized. I decided on a weekly tracker because I like short-term goals and it seemed less stressful than a month! 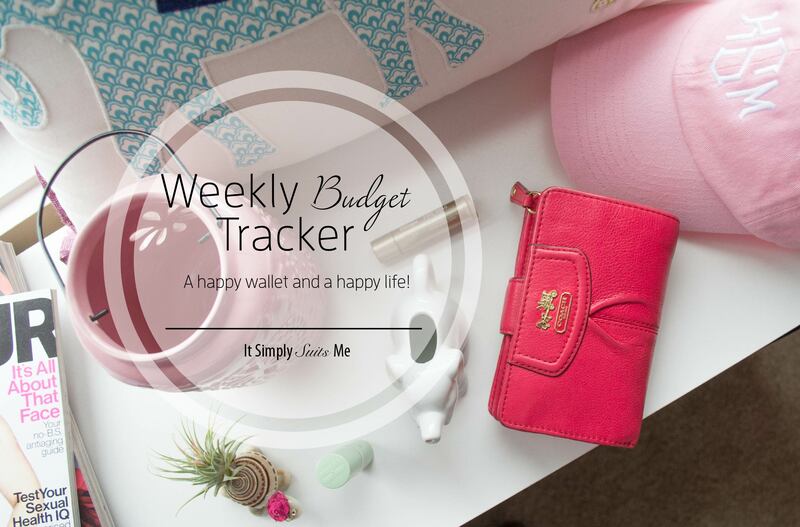 How to make a weekly budget? I took what I get for the month and deducted my monthly fees for rent, utilities, etc. Then I took what was left over and divided it by four, because four weeks in a month, gets my weekly budget! I hope this can help you as much as it helps me! 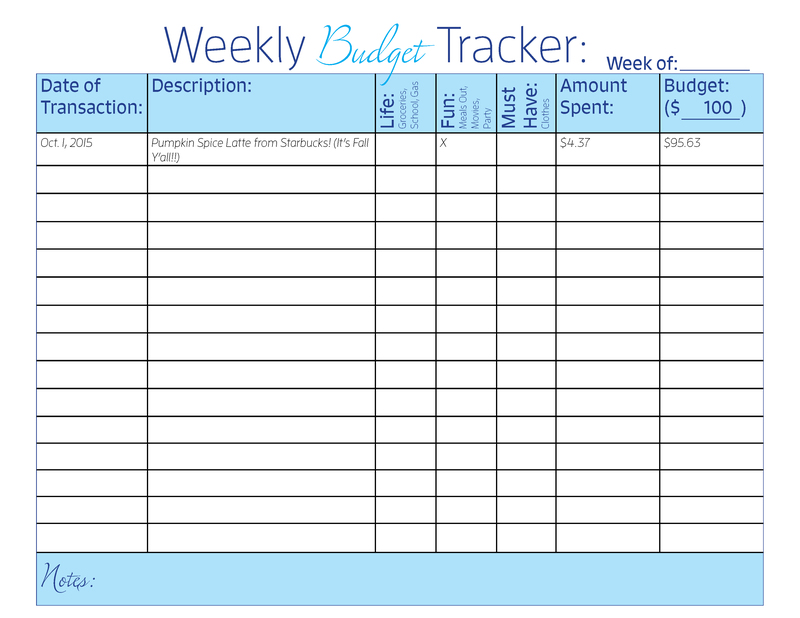 Download the Weekly Budget Tracker!